The Planning Commission will be holding a special meeting Tuesday, August 15 at 6 pm to discuss the results of the survey that was mailed out in June and formulate the community’s vision for our new master plan. Please attend! After a successful season, Mark and Carol would like to show their gratitude with a Fall Closing House Celebration. EMC will be providing delicious cider and snacks to thank their patrons for helping them make their dream a reality. Stop in this final weekend and say howdy. 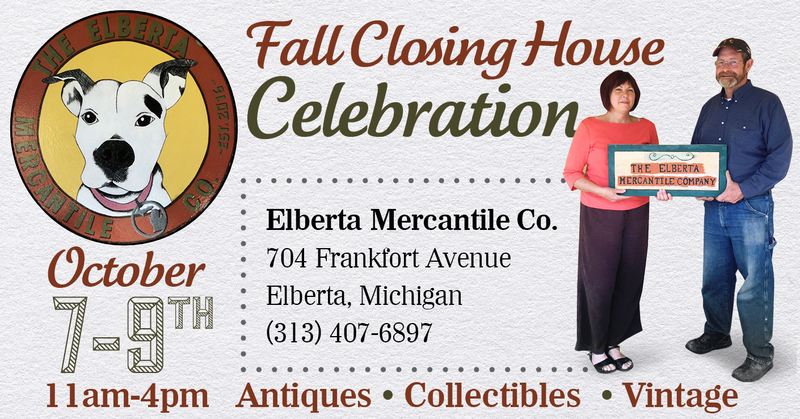 Elberta Mercantile will open up again in early May 2017. 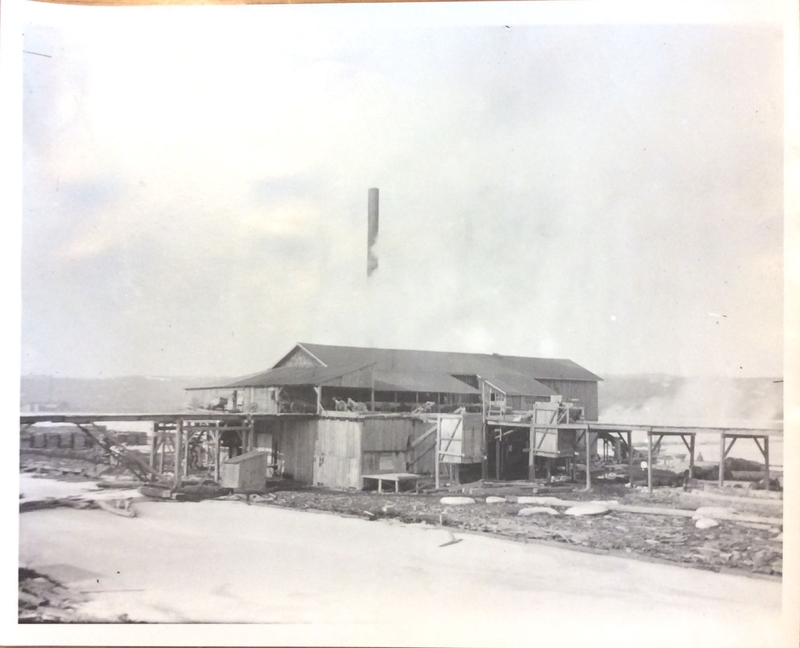 Historical Photos Related to the Elberta Mercantile Co. The man was one of the most important figures in the history of Elberta, and Andrew Bolander was unable to find an obit for him aside from a half paragraph in the Free Press and a mention of his passing in the Benzie Banner. So, on the anniversary of his death, Bolander thought it would be nice to give Lawrence W. Crane an obituary fitting his influence on the area. Lawrence W. Crane died on the 18th of September, 1899. Mr. Crane was a strong and occasionally abrasive presence in the early development of Benzie County. He was an impressive lumberman who came from modest beginnings—a poor youth in Chicago. The stories of his fights and supposed acts of arson strengthen the lore of the lumbermen of Northern Michigan. Mr. Crane could look at the exterior of a log and discern its interior arrangement. He was born in County Wexford, Ireland, in 1841. He immigrated to the United States when he was 12 years old and settled in Chicago. Mr. Crane then crossed paths with Harrison Averill, of Herring Creek, and went to work in Mr. Averill’s mill in 1855. He then moved to Muskegon and Manistee where he honed his skills as a sawyer. Mr. Crane then moved to Frankfort under the employ of George S. Frost and the Frankfort Land Co. in 1868. Mr. Crane cleared the Betsie River of logs and obstructions and straightened sections of the river to make drives more manageable. He also was the head sawyer at the Land Company’s mill. 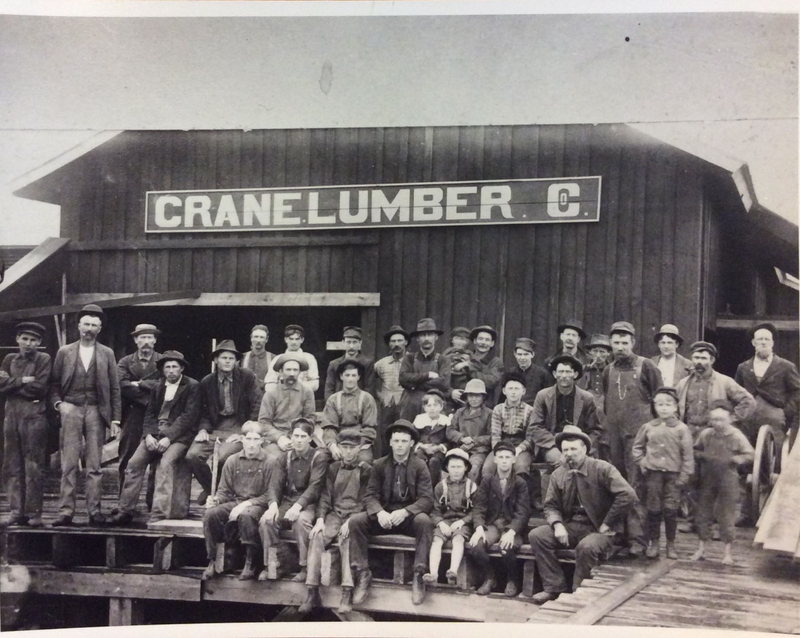 In 1870 Mr. Crane entered the lumber business on his own account and in partnership with Ramiro Evans built his first mill on the south side of Lake Betsie in 1873. Mr. Crane bought out Mr. Evans’s interests in 1881 and built a shingle mill and a planing mill in addition to his original sawmill. Lawrence W. Crane married Miss Annette Rawlinson on November 21, 1886. Mr. Crane was survived by his widow and eight children. It is said that Lawrence W. Crane’s knowledge of the woods of Benzie County was second only to that of Joseph Oliver. Mr. Crane was 62 years of age. The Village of Elberta will be getting a new, more comprehensive map soon! I recently spoke with planning commission member Bill O’Dwyer about the forthcoming zoning map improvements. Below are some of the improvements one can expect from the new map. • A much larger map that is more defined and easier to read. • All parcels will be correctly verified, numbered, and colored. The above district names and codes are in accordance with the zoning ordinance as of 2009. The new map is being created by Tom Longanbach, Benzie County’s director of equalization, on a GIS computer program. Once finished, the map will be displayed in the village office for all to see. The Planning Commission meets the first Tuesday of every month at 7 pm at the Community Building. Many thanks to Bill O’Dwyer for all his help and cooperation in providing the information for this article!